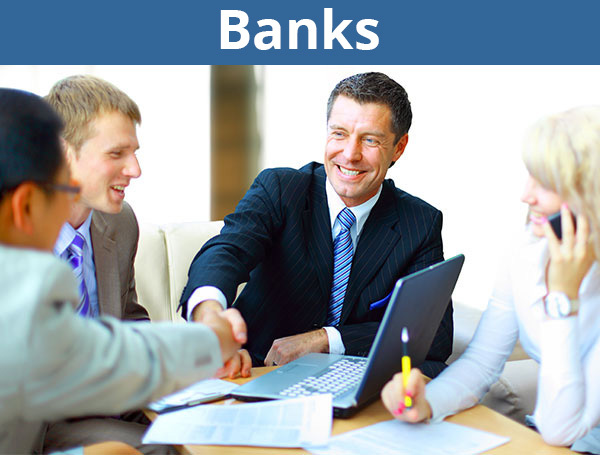 Our Bank Sales Training Solutions Make It Easy For You To Sell More. 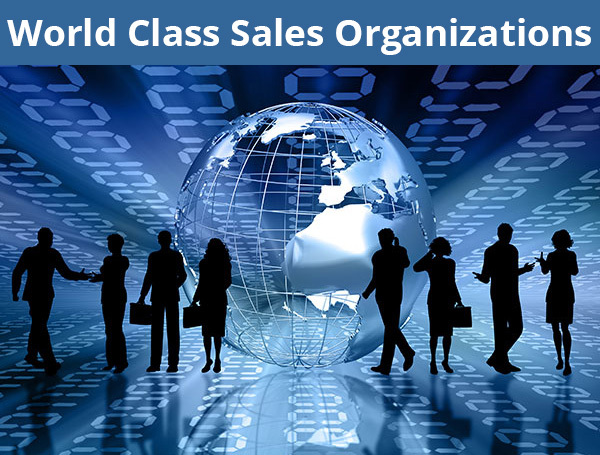 Increase your revenue and grow customer relationships fast with sales training from the world's longest operating sales consulting and training firm for banks. 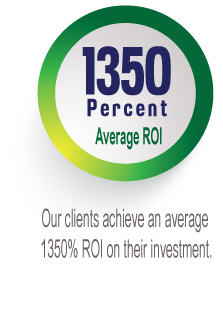 Our proven success in growing bank income and creating sustainable sales process is why large banks like BBVA Compass Bank, Marshall & Ilsley Bank, and Oriental Bank of Puerto Rico partnered with us even when they were already among the most profitable banks in the US. We make bank sales & leadership training easy, which is why more community banks and regional banks turn to us for end-to-end sales solutions that assure them of growing revenue, improving existing customer relationships and acquiring new customers. Our unique industry insight into bank selling was developed through 40 years of experience in creating custom sales solutions for banks with widely diverse cultures and objectives, in our pioneering national research on top producing financial salespeople, and in our many partnerships with ABA, BAI and dozens of CRM providers. With almost 2,000 employees in over 100 locations, First Commonwealth began a transformation of their sales culture by contracting with us to conduct a company-wide sales practices assessment. Our recommendations led to restructuring their branch sales centers and field leadership, job roles, performance metrics and sales compensation plans resulting in first year cost savings of $2,000,000. 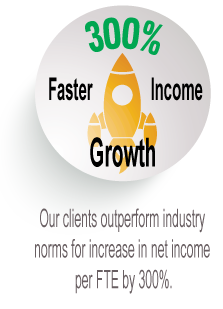 Following their implementation of our bank sales training and hiring assessments, sales per banker doubled, pre-tax income per FTE increased from $64,000 to $75,900 and turnover decreased from 20% to 12%. 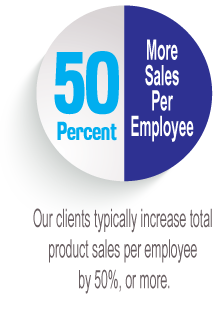 Effective use of preferred sales skills improved by 70% on a company-wide basis, with over 80% of employees meeting or exceeding sales and customer relationship goals. 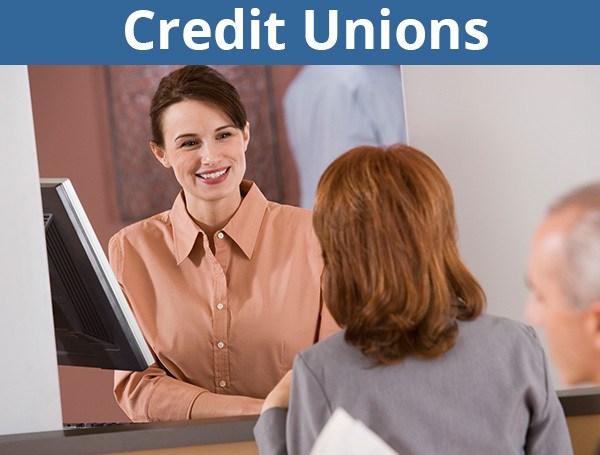 Our focus in training on member relationships, consultative selling, and taking time to understand each member’s situation is why credit unions of every size have found our sales training programs to be culture friendly. Our success in implementing sales and service cultures based on serving members, increasing member satisfaction and loyalty, and helping employees overcome sales discomfort is why high performing credit unions like ESL Federal, America First, and Vystar selected us as stewards of their successful cultures. Our sales management process is coaching-focused, so employees buy in faster and master the skills they need to be successful. Our unique insight into member-focused consultative selling was developed in over 40 years of creating custom sales solutions for credit unions with widely diverse cultures and objectives, from our national research on top producing financial salespeople, and in our many partnerships with CUNA and dozens of CRM providers. ESL undertook a series of coordinated sales initiatives with us to rapidly expand their community branches, deepen existing member relationships and acquire new members. Overall core product sales increased by 40% in the first two years of the initiative, while member satisfaction scores increased from 85.7% to 97.1%. In less than four years, total assets grew from $1.4 billion to $2.5 billion and total membership increased from 164,700 to 265,000. Employee use of preferred sales skills and behaviors during member conversations exceeded 90%. The better your sales culture and strategy is, the more you look for ONE more competitive edge. Some large banks, credit unions, mortgage companies, brokerage firms, and insurance companies have already found a preferred way of selling and managing sales that works for them. Once a sales culture is firmly in place, the focus is on moving from good to great by fine tuning sales process and building a competitive advantage through the way that you sell. For high performing sales organizations we become a resource for assessing sales performance gaps with our company-wide sales assessments, for obtaining customer feedback on individual salesperson effectiveness, for providing targeted sales training for one or more underperforming sales roles, for upgrading personnel with our unique hiring assessments, or for follow-up tools like our sales meeting guide, our online 360 feedback for sales leaders, or our mobile learning video. Our national research on top producing financial salespeople and Jim Schneider's book, The Sales Producers, How the World's Best Salespeople Sell, give these tools extra credibility with top sales producers. We’re not the typical sales training franchise, trade association, local trainer, or e-learning provider who offer generic sales solutions, and who don’t know banking or don’t know sales. 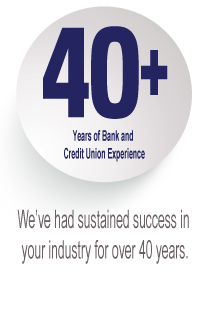 Credit union and bank sales training is all we do, and we do it right. Our end-to-end approach to sales process will help integrate everything you do to support sales from performance scorecards and goal-setting, to hiring, sales strategy and marketing, and CRM applications. No one else in the world has our 40-year database of what works and what doesn’t work. And only our trademarked Feel of Success® training approach is designed specifically to provide bankers with the skills to overcome sales discomfort and designed precisely for the behavioral requirements of each of the five financial industry selling roles. Contact us to learn how our credit union & bank sales training and consulting solutions can improve your sales culture, increase your company’s revenue, and help you grow profitable customer and member relationships. Schneider Sales Management, Inc. | Copyright © 2001- All Rights Reserved.